Hello! I am new here, and new to learning about the Suzuki method in general. I played the saxophone growing up, but I think I started too late on the instrument to become really good or develop a true appreciation for playing music. I always knew that I would want to give my child(ren) the opportunity to start on an instrument earlier in life. My son is now 2 1/2 years old, and I’ve started thinking more seriously about how and when to start him on an instrument. I am thinking that piano would be a good first instrument… he already likes “playing” grandma’s piano when he is over her house. I’m actually surprised that he seems to be as interested in the sounds of the individual notes as he is, because he will play each one in a row (or a few together) instead of banging on the keys haphazardly. I still think he may be a little too young to really start with lessons and whatnot, but what are some good ways to get him prepped for the experience? I saw in some other posts that getting some of the CDs to listen to in the background is good for getting him to recognize the music. Are there any other things on the piano that I could be teaching to him before starting formal lessons? Another point to note… he is really great with focused activities that require quite a bit of concentration and a significant attention span, like sitting with us while we read him books, painting and doing puzzles. However, he does have quite a bit of an expressive speech delay. Will this be a major issue when starting an instrument, or do you think it will be a non-issue (or even beneficial for his expression)? Hello, and welcome to the Suzuki world. I am thrilled to hear of your son’s interest, and very pleased that you are looking for answers while he is still young. I am a Suzuki piano teacher and a teacher trainer, and will try to give you some ideas. Your friends are right. Please purchase the new International Version of the Suzuki Piano Book one CD. Begin playing it softly in the background. I would start with 30 minutes each day, then the next week, increase it to an hour, then 1 1/2, and 2 hours gently in the background each day. You may add other levels of the Suzuki CD’s as well The more he listens the more quickly he will learn, and the more beautifully he will play someday. Be sure you listen, too, and show him that you are eager to hear the CD and even sing along. Take him to short children’s concerts and always demonstrate that music is important in your home. Another positive step would be to enroll him in a Kindermusic, Music Together, or Dalcroze class. You are doing many of the other necessary steps. Reading to him, asking him to complete small tasks, and expecting him to complete them are important steps. It will be necessary for him to focus and concentrate when he begins lessons. Be sure he can listen to a story without interrupting. Also ask him questions while you read to him. Give him enough time to think and reply. 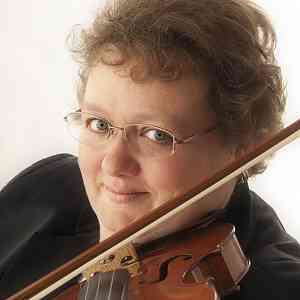 my daughter started when she turned 2. when she was 1, i learn violin and always play the violin at home. listened to suzuki cd daily. when she is 17 months old we joined kindermusik and enjoyed that very much. 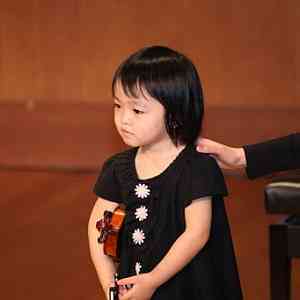 i brought her to be interviewed by her suzuki violin teacher and she was able to follow instruction at 2yo. So she started her formal lesson then. now at 35 months old, she can play twinkle variation, A, b, c and theme, and lightly row. but it is still a roller coaster ride, we have our good and bad days.. still. Hi! If you do not feel totally ready for lessons yet, I would suggest finding a good Suzuki Early Childhood Education class. It’s a wonderful experience for you and your child and great preparation to begin lessons in the Suzuki studio. I prefer the Suzuki ECE classes over other programs, because they utilize the Suzuki philosophy and approach education in a different way than more traditional early childhood classes. You didn’t say where you live, so I can’t refer you to a specific program, but you may be able to find one in your area. 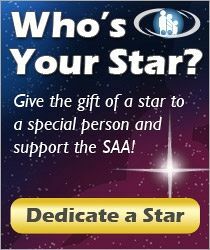 The SAA website can help as well. If you are in the Houston, Texas area, you are welcome to come try out one of my classes anytime!